The Finnish Duo Maria and Christian head to Nashville, TN USA to record their first Country album. 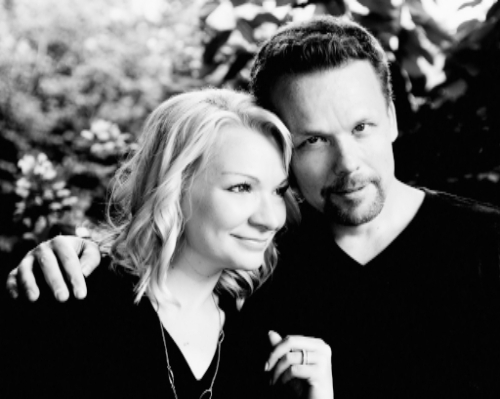 NASHVILLE, Tenn. - Sept. 11, 2015 - PRLog -- Finnish duo Maria & Christian (http://mariaandchristian.fi) have announced their plans to record their first country album in Nashville, TN with Grammy nominated producer Casey Wasner at his studio in Leiper’s Fork, TN. Maria and Christian have spent the last several weeks in Nashville working people in the country music scene to find the critical element that will capture the essence of their music and the talent that can bring it to life in the Nashville style that is world renown. “We’re excited to announce that we will be finishing our first country CD shortly and touring in support of it in Europe in September. With the help and massive talent of Casey Wasner, we feel we be able to put forward our very best effort and bring our music to the world that will best showcase our vision, emotion and desire to connect with our fans.” States Christian Casagrande. Along with the new CD, Maria and Christian are relaunching a new website. You can find out all about Maria and Christian on their website as well as all relevant social media links. Look for the as of yet unnamed new album to be complete by late November and available for purchase through all electronic outlets and at shows in Europe. Maria and Christian are a Finnish Country Duo that play 150 dates a year around Europe. The duo have worked with The Voice in France and host their own vocal competition every year called “Finnish Best Duo” (Suomen Paras Duo) which takes place throughout Finland.